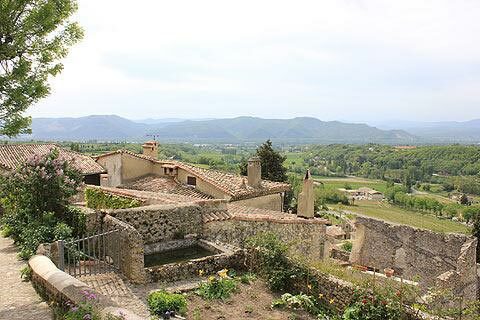 Mirmande is a perfect little ramparted medieval village, set among trees, orchards and open meadows and with far reaching views across the surrounding countryside. The village is situated 15 kilometres north-east of Montelimar and 25 kilometres south of Valence, in the Rhone Alps region. 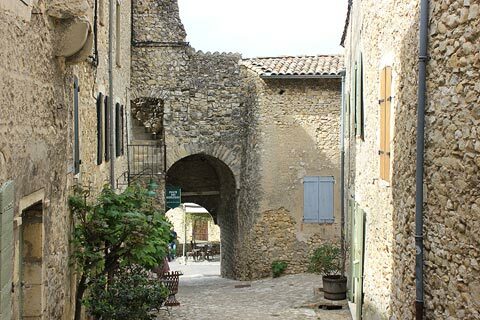 It is officially listed as one of the 'most beautiful villages of France'. 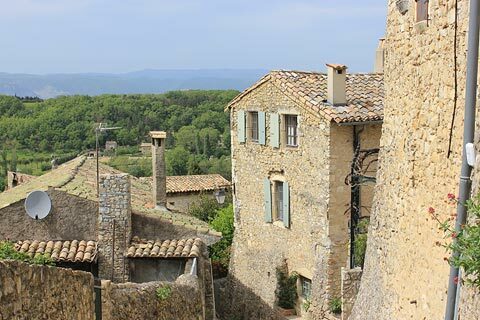 In addition to being a 'most beautiful village of France' it has also won awards for its 'most beautiful roofs in France' and is a member of the 'botanic Villages of the Drome'. 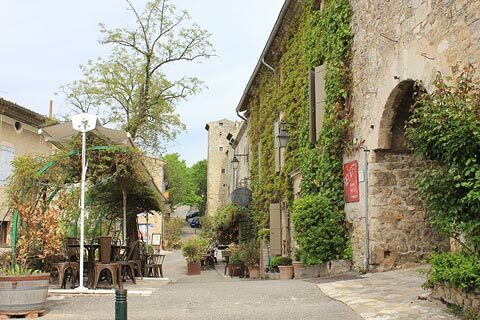 France This Way coment: Mirmande is a small village and easy to explore, with a great deal of charm along its meandering paved streets that run up the side of the hill or by following the remains of the ramparts around the village. 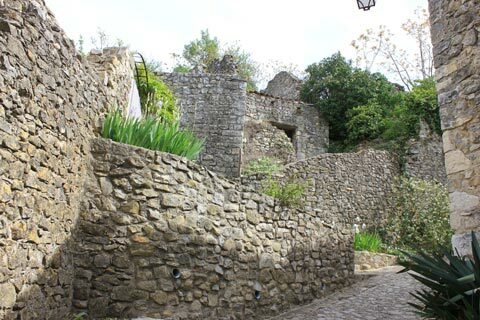 The first ring of fortifications were built at the top of the hill where the church is but as the village expanded in the Middle Ages it eventually covered all of the hill and another ring of ramparts were built around the lower part of the village. These were a kilometer in length and much of the wall can still be seen. Originally there were three gateways through the ramparts but now only the Porte des Gauthiers remains. As you stroll through the village you will see lots of interesting architectural details in the stonework around the doors and windows of the traditional cottages, and a good number of flowers and garden areas bringing a splash of colour to the village centre - there are numerous attractive little gardens to be glimpsed as you make your way up the hill. 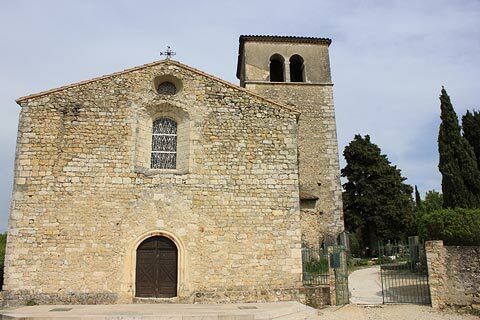 There are a number of relatively wide flat streets in Mirmande and these are linked by lots of narrow streets and steep steps which lead upwards towards the church at the top of the village. Exploring all of these narrow streets is a real pleasure and there are many interesting houses to admire as you wander. At the top of the hill you reach the pretty roman style Church of Saint-Foy and its cemetery which looks down across the rooftops. This church is now used for exhibitions - the newer church below the village was built when church attendees complained about having to climb the hill to the upper church every time they wanted to go to church. The (upper) church has several interesting architectural features such as carved capital stones as well as fine views extending towards the Massif central and the Rhone Valley. 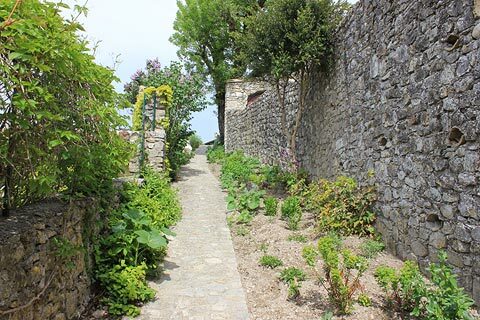 As you walk through Mirmande you will notice the beautiful planting throughout the village. 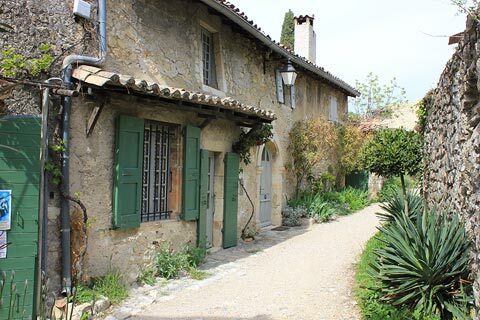 As a keen gardener I love it when beautiful architecture and scenery is topped by beautiful plants and gardened areas in the villages I visit. 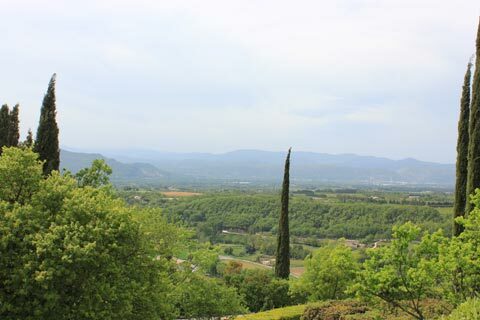 Mirmande specialises in plants and shrubs with decorative foliage and is one of the "Villages Botaniques de la Drome". You can pick up a leaflet at the tourist office with details of a route to follow to see the best of the gardens. 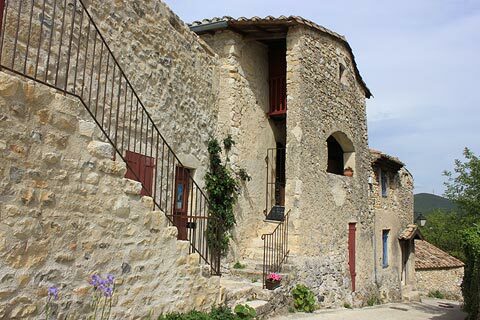 The views, the village and the natural light mean that Mirmande also attracts many local artists and potteries. In the forest around Mirmande there is a walk that allows you to discover more of the plants and wildlife typical in this region. 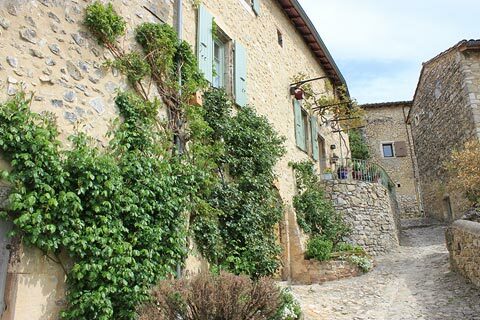 As well as exploring the region around Mirmande we also recommend you take the time to travel about 35 kilometres west into the Ardeche to visit some of the picturesque villages clustered together such as Alba-la-Romaine, Saint-Montan et Vogué (see Ardeche villages for more details). If like me you love to see some beautiful planting when you travel and get some ideas for your own garden then here are some other "botanic villages" in the Drome department. These villages have a minimum of 150 varieties of plants in their chosen theme. Chatillon en Diois - with a variety of climbing plants and a number of fountains.